So, What Does the “J” Stand for in Dijital Farm? So, the last one is certainly an interesting one! I’m not sure I’d make a good ninja (or guru, for that matter! ), but I did get a few laughs out of the responses! 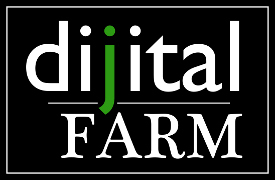 For the record, the real reason for the non-traditional way of spelling Dijital Farm is because that’s the domain name that was available! It just so happens that the “J” coincides with my first initial! So, in all of this, there is a practical lesson for businesses and their digital footprint. Sometimes, you have to go with what’s available in the domain registry. That doesn’t mean that you select a domain name that doesn’t make any sense or has a remote connection at best. But, you do have to recognize that there are limitations in the digital space and you have to work to turn that limitation to your advantage. In the case of Dijital Farm, it worked out that the catchy way of spelling Dijital created a little bit of mystery and whimsy. It also provided a great way for my designer to find an interesting visual hook that would catch the eye of others. Nothing fancy, but that’s the story of the “J” in Dijital Farm. Have a great Friday! Dijital Farm is a digital marketing consultancy based in Raleigh, N.C. Jon Parks, in his role as Lead Dijital Strategist with Dijital Farm, helps companies evaluate their digital footprint and develop strategies to improve their footprint and strengthen their business. Find out more about how Dijital Farm can help by contacting Jon today via e-mail at jparks@dijitalfarm.com or by phone at (919) 901-0485. You can also follow Jon on Twitter or connect with him on LinkedIn.